Tourists’ first pit stop in Berlin usually has something to do with the city’s sort of, somewhat, a little bit, kind of checkered past. Skip the selfie-farm at Check Point Charlie and Unter den Linden -- where Germans dress as US Army soldiers & pose for pics -- and head to the Bernauer Strasse memorial instead. It’s the last piece of the preserved, for-real Berlin Wall, complete w/ the super-intimidating border fortifications, a viewing tower & tons of info. Sure, those massive tour buses with the apparently hilarious MC cruising around the city look tempting. 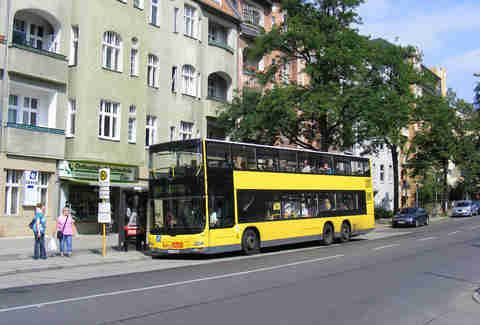 Instead of overpaying for a ride around town however, hop onto line 100 or 200 of the city buses, which run along a similar route, from Alexanderplatz to West Berlin’s Zoological Garten. They’re also double decker, they pass basically every cool/photogenic desto in the city, and they don't have a dude demonstrating the German sense of humor. 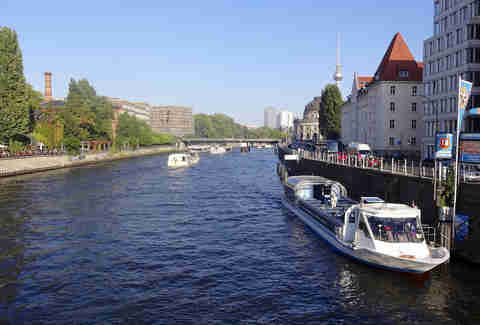 Taking a boat tour along Berlin’s Spree River can be a great way to see the views, get some info on the city & check a spotting of the major landmarks off your list. Whatever. For the real Berlin experience, get off the boat and try one of the city’s awesome cultural tours, exploring topics like street art, Berlin’s music scene & vintage shopping. Berliners have a love-hate relationship w/ the currywurst, that is to say, many locals look down at this lowly sauced sausage like a red-headed step child. But enough people love 'em 'cause you can grab a currywurst at nearly every corner. 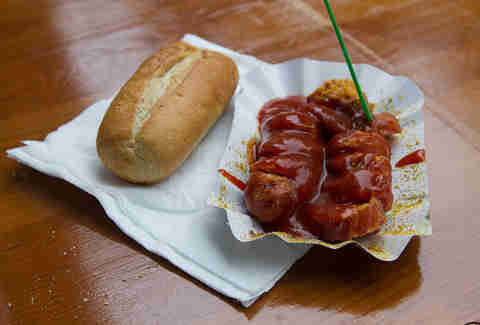 If you are gonna try this delicacy, be in the know & order your wurst spicy. And by spicy we mean ear-smokingly hot. Head to Ku’damm literally any day and you’ll find this “shopping mile” packed, mostly w/ tourists looking for KaDeWe. 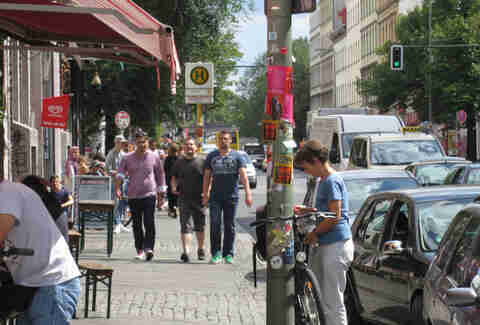 Skip the mass of international brands and get some real Berliner style by heading to the much cooler neighborhood of Kreuzberg. Places to check out include Voo, Search and Destroy & Hard Wax. 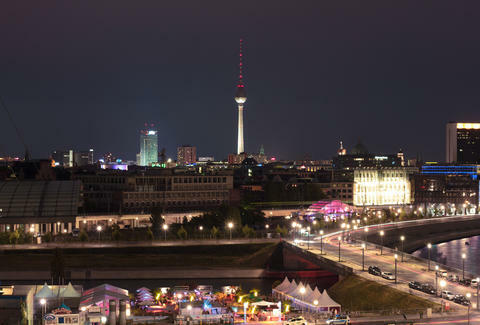 Everyone wants to get a view of Berlin, and the giant TV tower seems like as good as any place to do it from, right? Actually, no. Skip the massive fee they charge for riding the elevator 200 meters up, and instead hike yourself over to Wilmersdorf’s Teufelsberg, a former spy station (!) 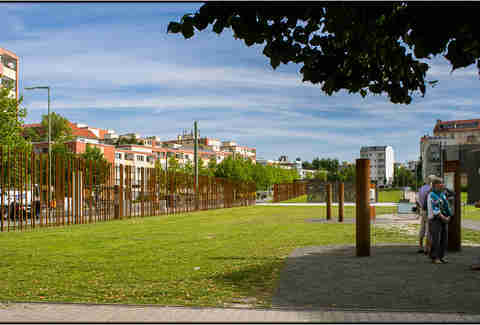 sitting on the highest point in Berlin. 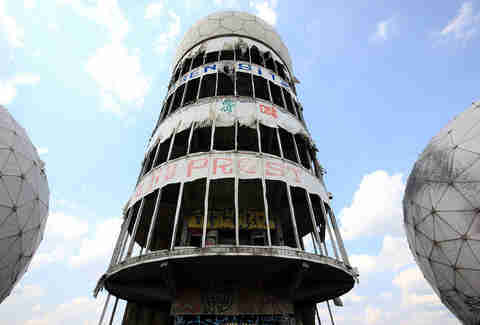 The place is quasi-abandoned -- some entrepreneurial Berliner’s charge admission -- but we’ve “heard” you can sneak in. Most Berlin bars serve the cheap crap, but you're on vacation, and their foreign coin is like Monopoly money to you, so saddle up and prepare to drink something good. 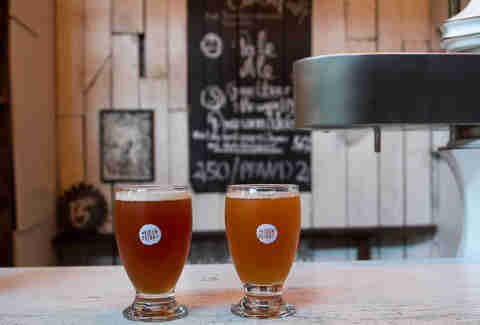 The city has a growing scene of microbreweries pumping out far better suds -- try Hops & Barley, Heidenpeters & Vagabund for great homebrews at the bar, or head to Berlin Bier Shop to pick up a couple bottles of something other than a pils or dunkel.